Point Pleasant sophomore Tristan Wilson (19) hits a spike attempt during Game 3 of Thursday night’s volleyball match against Lincoln County in Point Pleasant, W.Va.
POINT PLEASANT, W.Va. — Home was where the heart was. After three-plus weeks of road matches, the Point Pleasant volleyball team had itself an impressive home debut on Thursday night during a 25-1, 25-7, 25-4 thumping of visiting Lincoln County in a non-conference match in Mason County. The Lady Knights (11-3) led the first two games in a wire-to-wire fashion, then the hosts rallied back from a trio of early two-point deficits by scoring 23 consecutive points to wrap up the straight-game decision. 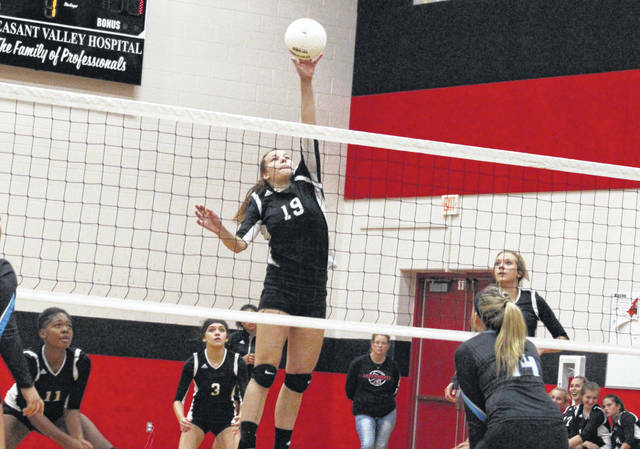 PPHS dominated the match from the service line alone as the Red and Black had a single server produce double-digit point totals in each of the three games played. The Lady Knights also churned out 20 kills and two blocks in the dominant performance. Olivia Dotson started the night on a solid note after serving PPHS out to a quick 18-0 lead, then Haley Milhoan came up with the final six service points for a 25-1 win and a 1-0 match edge. The Lady Knights jumped out to a quick 4-0 lead at the start of Game 2, and the Lady Panthers were ultimately never closer than three after breaking serve. The hosts took their first double-digit lead at 16-6, then made a 9-1 run the rest of the way for an 18-point win. Ali Ross gave LCHS its only lead of the match with a pair of service points at the start of Game 3, then both teams traded points over the next four serves for a 4-2 contest. Point broke serve, then Lanea Cochran followed with 22 consecutive service points — including 13 aces — that ultimately wrapped up the 21-point win and a straight-game triumph. 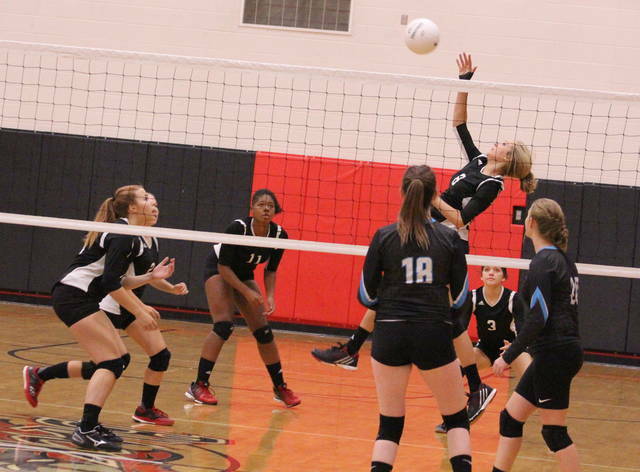 The Lady Knights produced 30 aces and used two different lineups over the course of the opening two games. The hosts also limited Lincoln County to a single kill and only two service points. 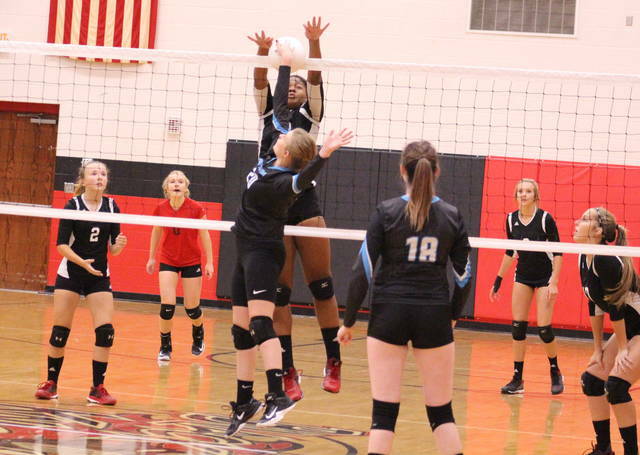 Dotson led PPHS with 29 service points, followed by Cochran with 22 points and a team-high 13 aces. Dotson also had 11 aces. Milhoan was next with seven points and five aces, with Skylar Mullins also contributing three points and an ace. Brooke Warner and Addy Cottrill chipped in a point each as well. Tristan Wilson led the net attack with eight kills and a block, followed by Cochran with six kills and a block. Madison Hatfield was next with two kills, with Dotson, Milhoan, Cottrill and Baylie Rickard contributing a kill each. 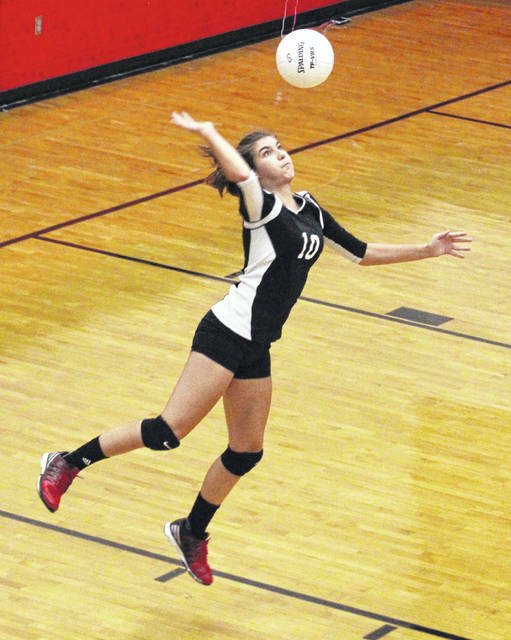 Ross had both of Lincoln County’s service points, while Alyssa Fraser recorded the team’s lone kill. Point Pleasant returns to action Tuesday when it travels to Teays Valley Christian for a 6 p.m. contest.